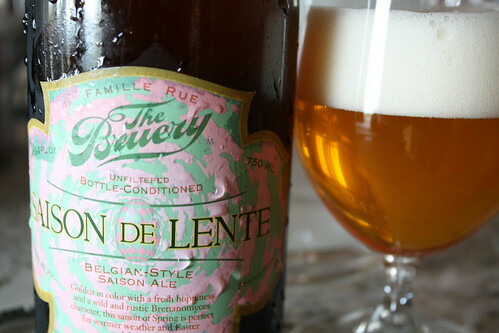 While in Portland, we picked up several beers from “The Bruery”:http://www.thebruery.com/. I’d never had their beers before but I am very impressed. I have taken a liking to Belgian beers which surprises me because I’ve never cared for them much before. I guess I’ve never had a good one; or my tastes are changing in my old age. Gay and I shared this on Saturday evening after I spent all day in the sun washing both cars. It may have just been that I was tired and wanting to sit down and relax and this beer happened to be a perfect fit, but this was one of the best beer experiences I’ve had in a long time — it was a light and refreshing beer.